Blue Lake is a residential and commercial contracting company with a focus on customer service. We offer the best deals for those who want to turn their home into a masterpiece . Estimates are free and right at the comfort of your own home! When you choose Blue Lake, you will never have to sacrifice quality for affordability and choice. 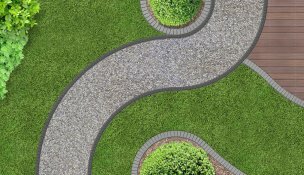 Our concrete services are designed to be both customizable and affordable. To produce the best results, we offer a wide selection of materials you can incorporate into your concrete material. You can even choose your own custom design to suit the interior and exterior design of your building. No one knows your home better than you and we want to give you the opportunity to incorporate your customize design in the space we create. Our first priority is providing you with the best results. Blue Lake has been providing quality concrete in Calgary since 2001. We have successfully developed our concrete division on a foundation of integrity and professionalism with a focus on superior customer service standards. From standard broom finish, to exposed finish, even custom coloured concrete, we do it all. Our customers are assured of a truly unique and individually designed project, custom to their desired satisfaction. Whether, it’s a driveway, sidewalk or you’re in need of deck builders, our professional team is dedicated to working with you on your dream home renovation. Effective implementation of our skills in all facets of forming, prepping, placing and finishing of concrete is what makes us the best overall choice as your concrete company. Serving Calgary, Airdrie, Chestermere, Okotoks with all your landscaping, concrete, deck, fence, garage, basement renovation and home improvement needs.